Last week I received an invite to review the Grand Buffet Lunch at a popular Sanjeev Kapoor restaurant in Delhi called Sura Vie. I have been a huge fan of Master Chef Sanjeev Kapoor, one of the most celebrated faces of Indian Cuisine in the world today. For me, Sanjeev is not only a successful chef but an equally successful entrepreneur, author, consultant, and TV show host and judge. After all who can possibly forget Khana Khazana - the longest running show of its kind in Asia - aired in around 120 countries and seen by over 500 million viewers worldwide. 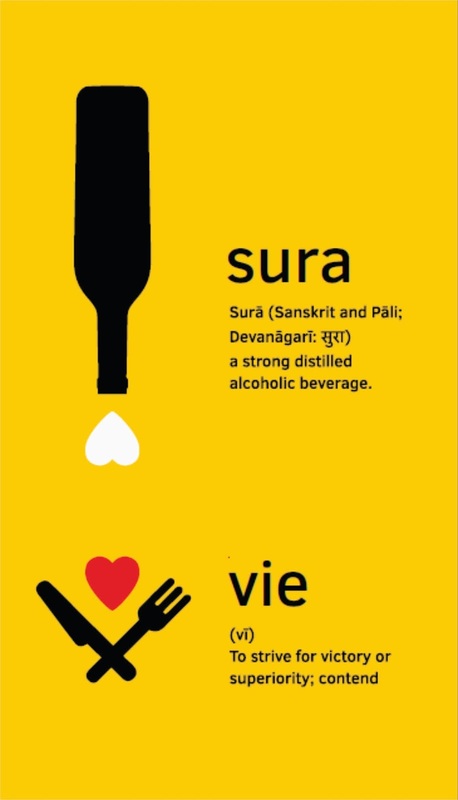 Sura Vie is located in the heart of Connaught Place (CP), one of the largest and busiest financial, commercial, and business centers in New Delhi. Parking is a hassle in CP, so if you're planning to visit Sura Vie via your own conveyance, try taking the metro instead. 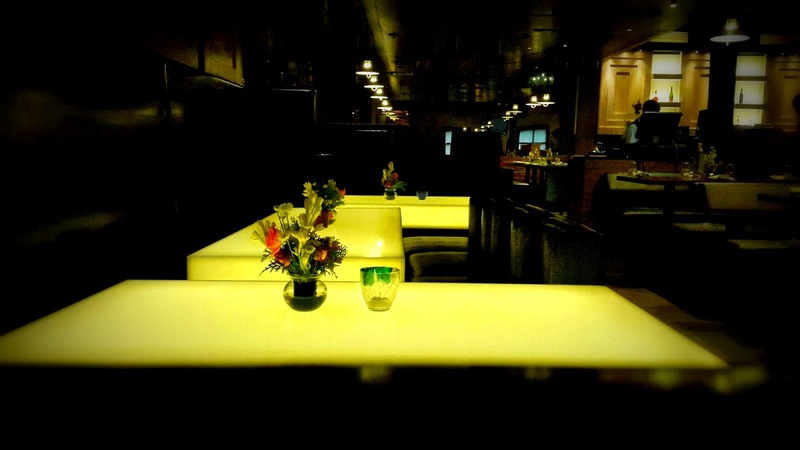 You can tell that the restaurant is recently renovated, perhaps to render a more contemporary look and feel. 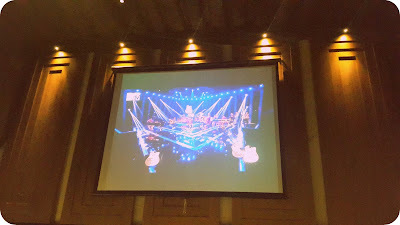 Among the first few things that caught my fancy, I particularly liked the dim lighting, LED lit tables, soothing background music, multiple projector and TV screens, and colorful couches. 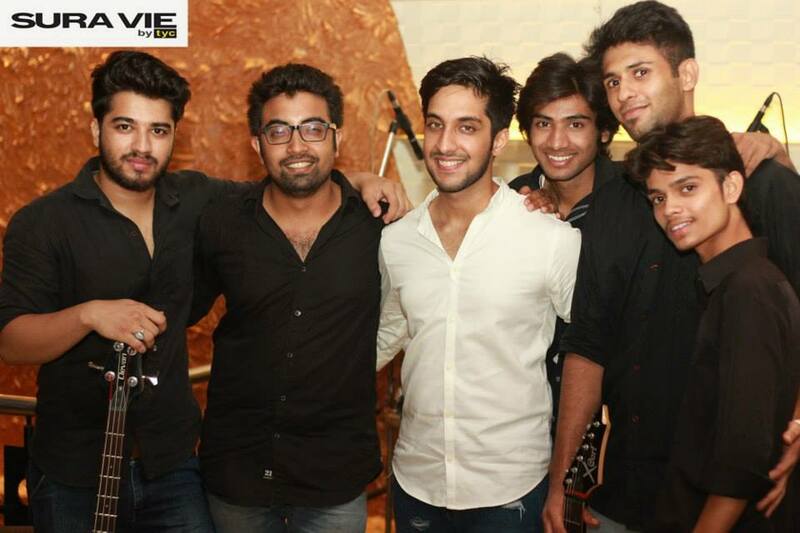 If you're fond of soulful Sufi music, make sure to catch the famous Sufi band 'Aawaaz' live in action every Thursday night. Plans are underway to host a Fashion Night at Sura Vie every Tuesday of the week. The property has two floors; the first floor can accommodate up to 40 people and the second floor can accommodate up to 80. If you're someone who likes to sit closer to the bar/lounge area, move to the second floor directly. The DJ console is set on the ground floor. While you are dining, entertainment is taken care of with the first-of-its-kind concept of live acoustic music with same visuals being played on screens. 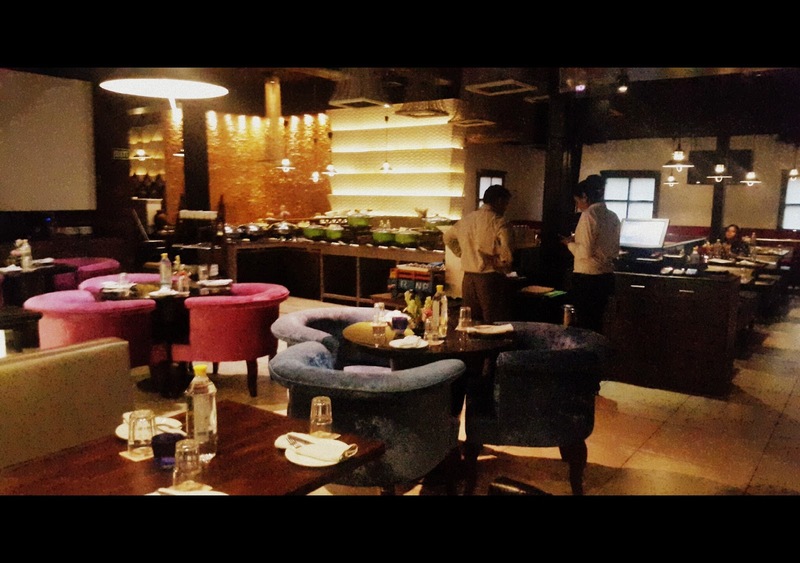 At the restaurant, I was introduced to Sura Vie's Corporate Chef Vicky Sharma, who provided his valuable insights into the daily operations of the restaurant. Chef Vicky has over 16 years of work experience, including stints at the Vivanta by Taj - Ambassador (New Delhi), Vivanta by Taj - President (Mumbai), Vedas (China), etc. 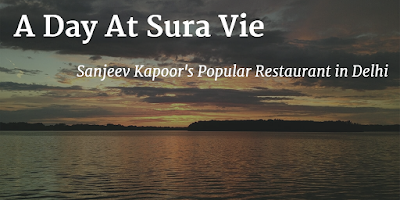 According to the chef, Sura Vie is primarily a fine-dining restaurant, which is open seven days a week from 12 pm to 12 am. 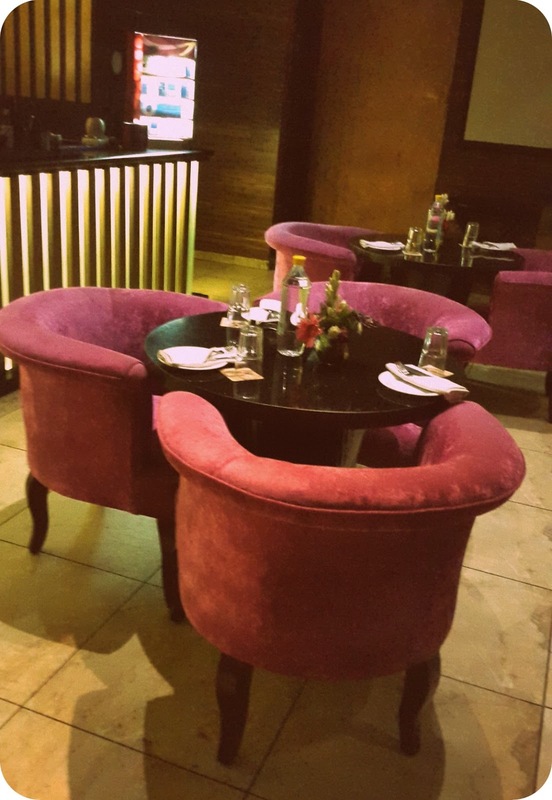 Known for hosting parties, reunions, events etc., the restaurant attracts high profile crowd from Delhi and NCR. 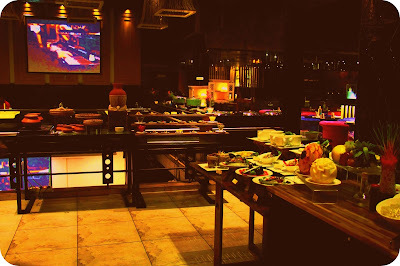 The Grand Buffet Lunch is served between 12.30 pm to 3.30 pm every day, barring Sunday when it is served till 4 pm. 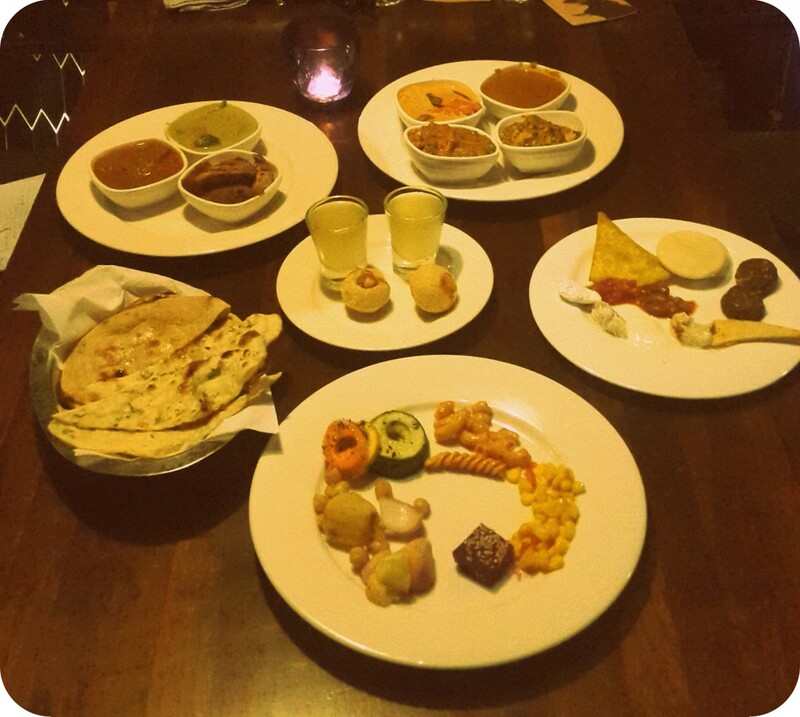 Being a multi-cuisine restaurant, you can choose from a wide variety of food options like the Chinese, Thai, Lebanese, Indian, etc. 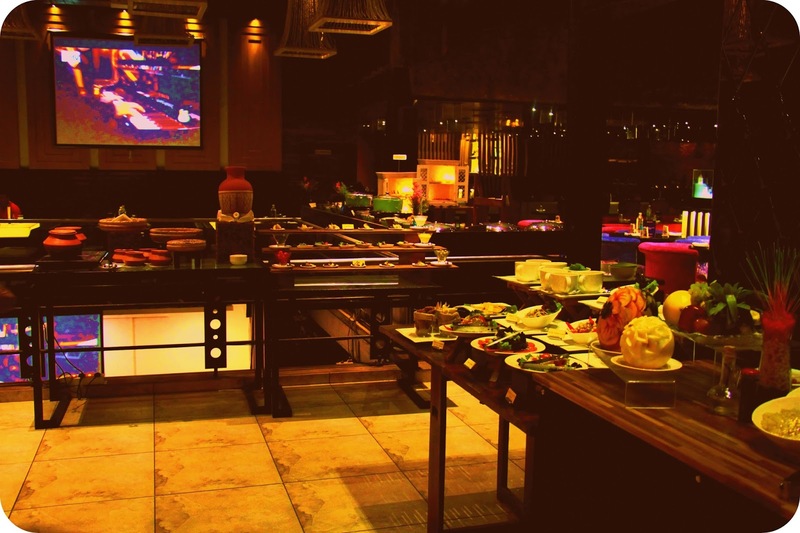 The Grand Buffet Lunch contains a lavish, healthy, and oil free spread, featuring over 50 dishes from all over the world. Chaat: This counter has some of your favorite, finger-licking Indian Street food such as Bheeja Kulcha, Gol Gappa, and Paapri Chaat. Starters/Entrées: Try picking some lip-smacking and innovative starters like Fruity Seekh, Cheese Melters, Lemon Grass Chicken Tikkas, Makhmalli Boti, Tandoori Lolly Pops, and so on. Mezze and Mexican: Indulge in an interesting assortment of Nachos with salsa and cheese, traditional Hummus with Pita bread, Tzatziki, Babaganoush, Tabbouleh Salad, Mexi Salsa, Sour cheese, and Refried beans. Salads: In this section, you'll find a variety of vegetarian and non-vegetarian healthy delights. Pasta and Dim Sums: Pick your favorite spaghetti, penne, or fettucine and get it cooked with vegetables and sauce of your choice. The Dim Sums counter brings to you appetizing vegetarian and non-vegetarian Dim Sums made to perfection. Main Course Section: Features your favorite dishes from across the globe, for instance, Noodles and Thai Green Curry, Fish Roulade, Deewani Handi, Dum Biryanis, Oriental style noodles, Cottage Cheese Curries, Daal Makhni Nahari, Safed Korma, Saag Koftas, and more. 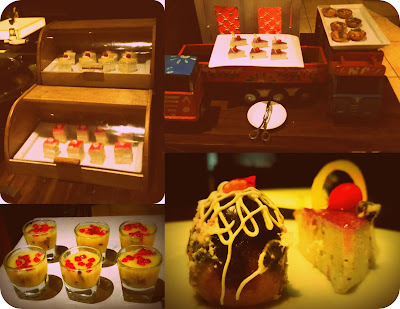 Desserts: My personal favorite, this counter has a classic variety of desserts ranging from Blueberry Tarts, Butter Scotch and Pineapple Pastries to Rose Kheer, Gulaab Jamun, and more. In short, a scrumptious spread for everyone with a sweet tooth. We were very well taken care of by Jyoti, who works as a Senior Floor Supervisor at Sura Vie. The staff, in general, was prompt in responding to our queries about the menu. In fact, it felt like a delightful gastronomic expedition; a culinary extravaganza that featured an eclectic mix of mouth-watering delicacies from around the world. The menu is carefully designed by Sanjeev's team of experts, led by Master Chef Saurabh Saxena, who heads the Sura Vie Kitchens and Operations. 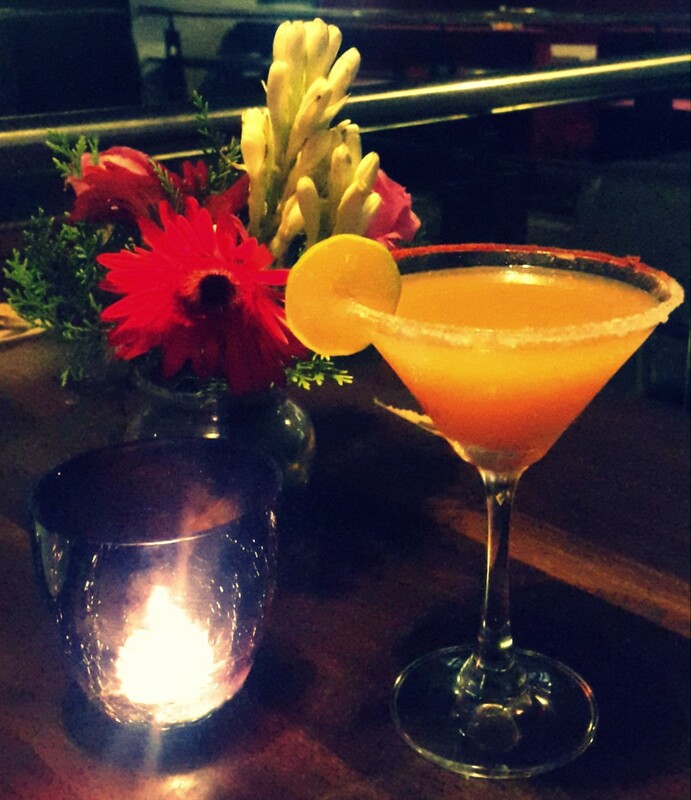 We started the Grand Buffet Lunch with two signature mocktails - Peru Pyala and Spicy Affair. 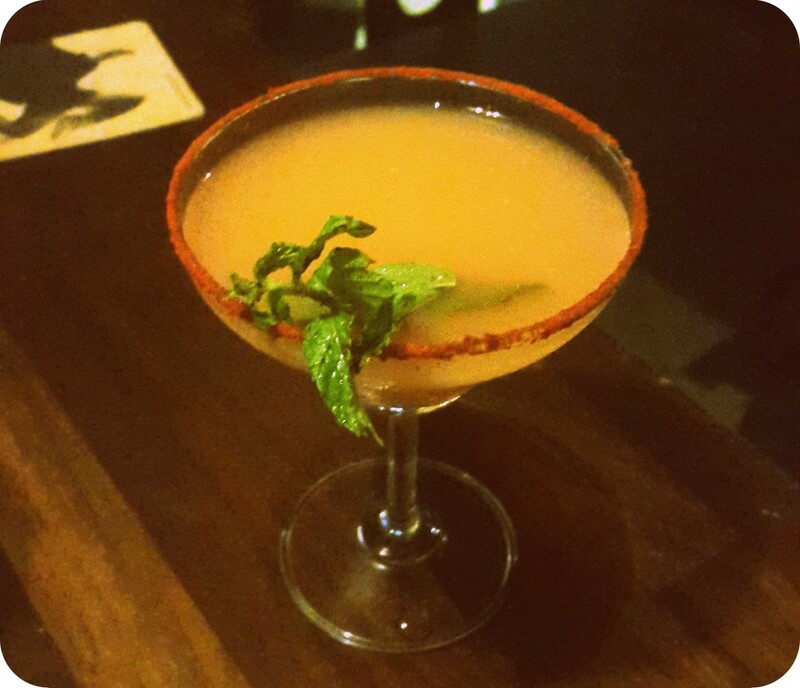 Both Peru Pyala and Spicy Affair are unconventional Guava drinks that contain chaat masala, Tabasco (very hot red peppers), and salt. Peru Pyala: 4 out of 5 for its unique taste and flavor. I liked that they mix Guava juice with lemon juice and mint. Spicy Affair: 2 out of 5 for its classic presentation (too "chilly" for my comfort though). We later ordered two more mocktails called Seventh Heaven and Ginger Mint Lemonade, respectively. Seventh Heaven: Essentially a fruit punch topped with strawberry crush and lychee. 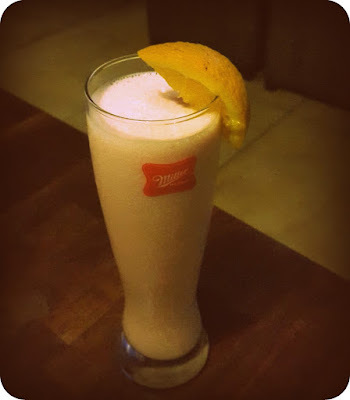 The fruit punch is a mishmash of mixed fruit juice, apple juice, vanilla ice cream, and blended pineapple/orange slices. I'd rate it a 5 out of 5. 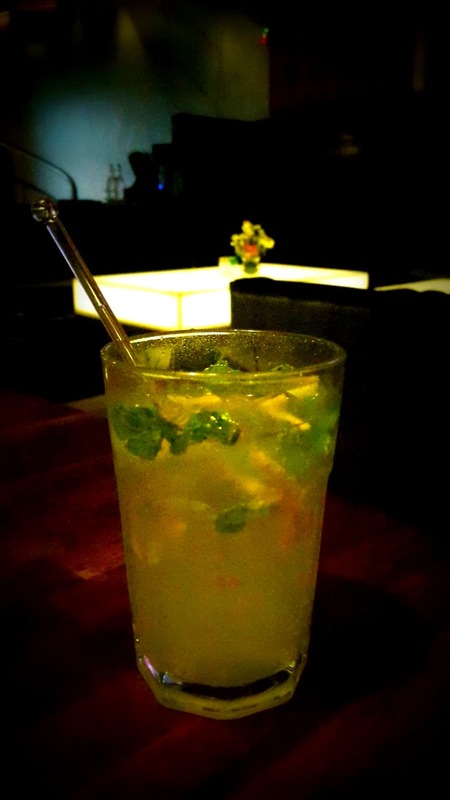 Ginger Mint Lemonade: Fresh ginger muddled with mints and topped with lemonade. My rating: 4 out of 5. 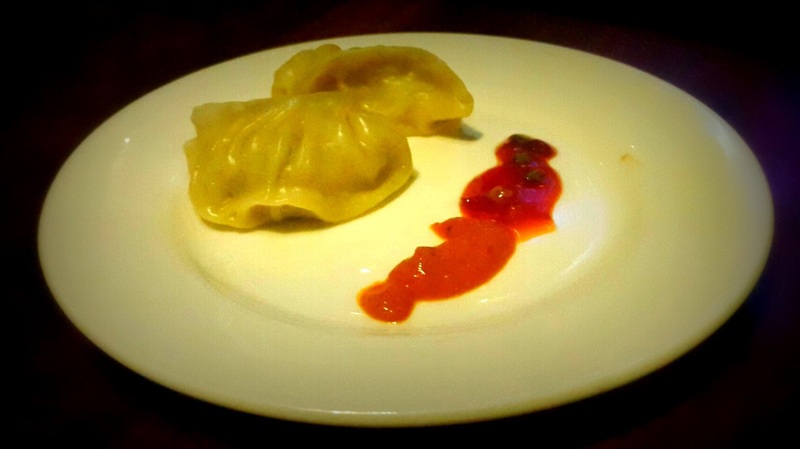 We tried both non-vegetarian and vegetarian appetizers from Chef Naresh Kumar's kitchen. 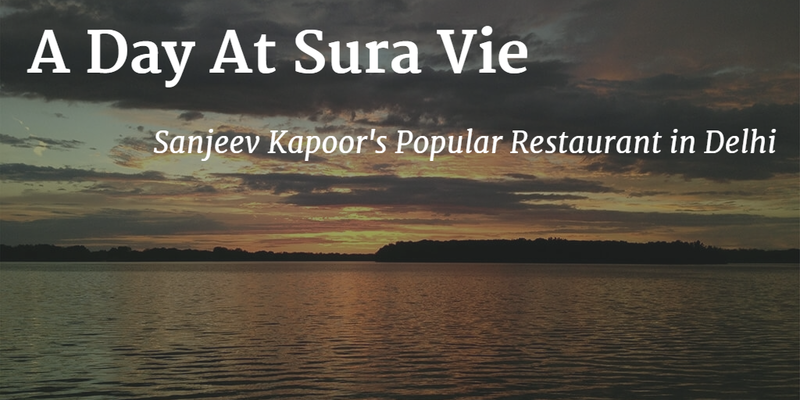 Chef Naresh works as an executive chef at Sura Vie. I have to admit, the vegetarian delights were much better in taste. 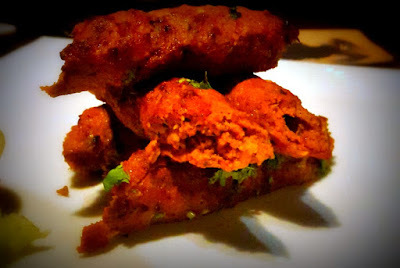 Achari (Pickle) Chicken Tikka: Slightly tangier and spicier than what you'd generally expect. The homemade achari masala was great though. I'd rate it 3 out of 5. 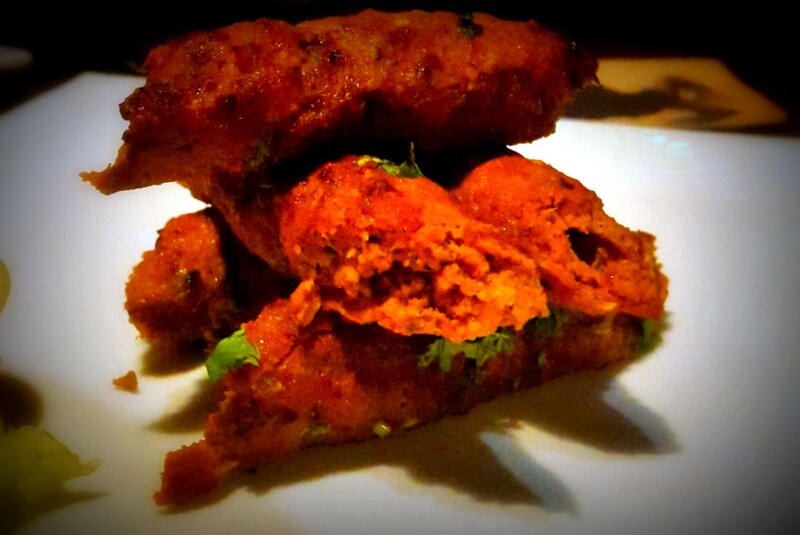 Lucknowi Mutton Seekh: If you're fond of the Awadhi cuisine, go for these mouth-watering kebabs without thinking twice. 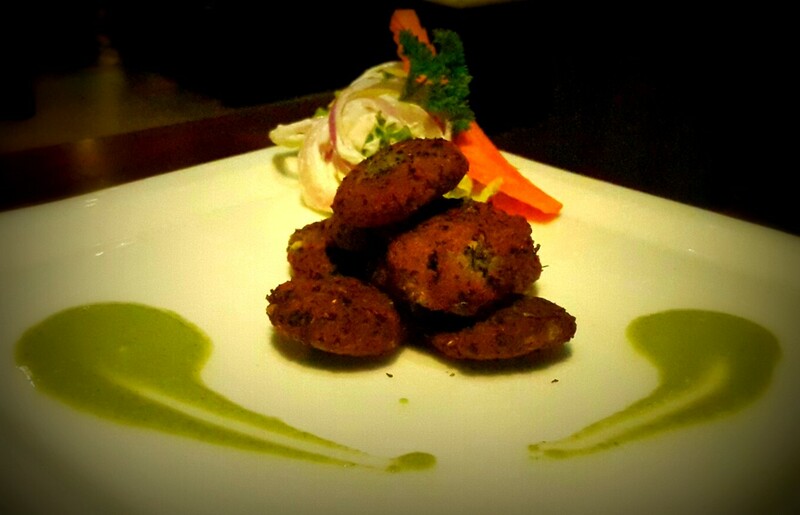 Savor the kebabs while they're smoking hot and don't forget to ask for the mint chutney and lemon wedges. My rating: 4 out of 5. Matar Methi Tikki: Matar (or Green Peas) make great tikkis when combined with potatoes and a handful of methi (Fenugreek) leaves. My rating: 5 out of 5 (an absolute must-have). 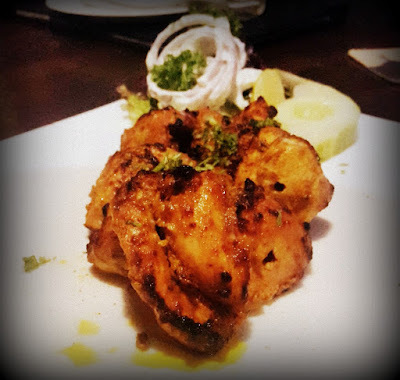 Exotic Green Paneer Tikka: The green color in this tikka comes from the same herbs and spices that are used to make the Indian green chutney. I am not sure if the marinated Paneer was fried or baked, but something sure felt incomplete. And it is for this reason alone that I rate this dish as 3 out of 5. Middle Eastern cuisine (My rating: 3 out of 5): Includes Falafel, Hamas, Jajiki, Mutabal (Eggplant dip), Sour Cream, Salsa, Kidney Beans, Nachos, Pita bread, and Lavash. The buffet also comprises exotic foods like Gosht Dalcha, oriental style stir fried smoked chicken, Lulla Mussa Dal, Safed Murgh Korma, Fish in lemon butter, Shaadi Wala Paneer, etc. The best part is that the lunch menu changes every day, so there are plenty of choices for everyone. The buffet lunch also includes exciting offers on alcohol. At INR 777 plus taxes, the Grand Buffet Lunch provides the best bang for the buck. 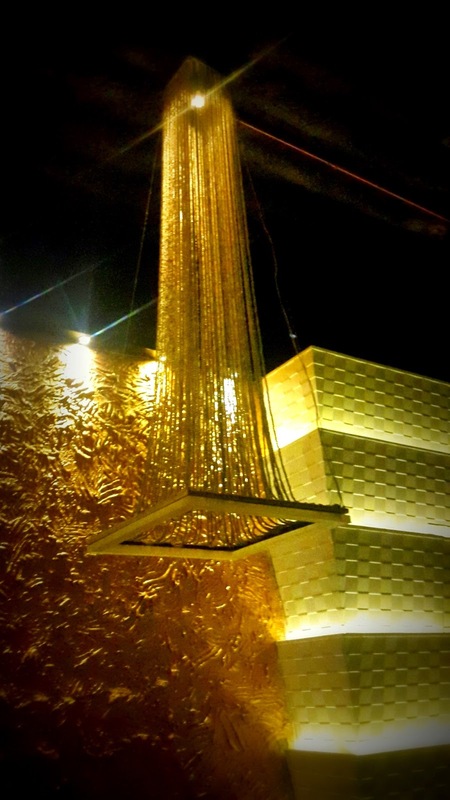 If you're a sucker for elegant interiors, jovial ambiance, entertaining music, extensive beverage menu, and warm hospitality, Sura Vie CP is the place to be!